We live by and for our lands. 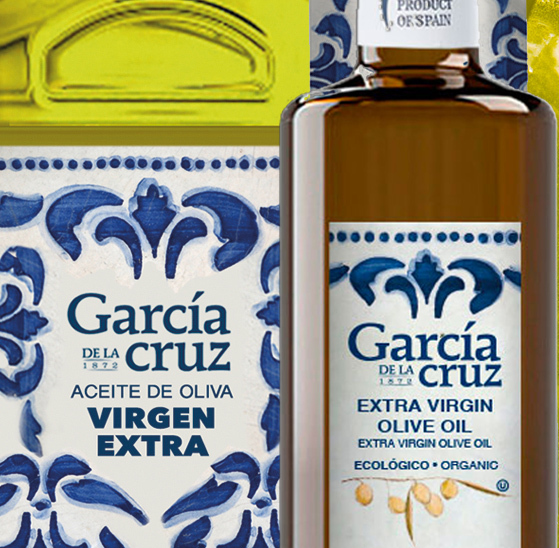 García de la Cruz has its olive groves in the outer foothills of the Mountains of Toledo. This special location offers optimum climate conditions which together with the characteristics of the soil produces olive oil of excellent quality. 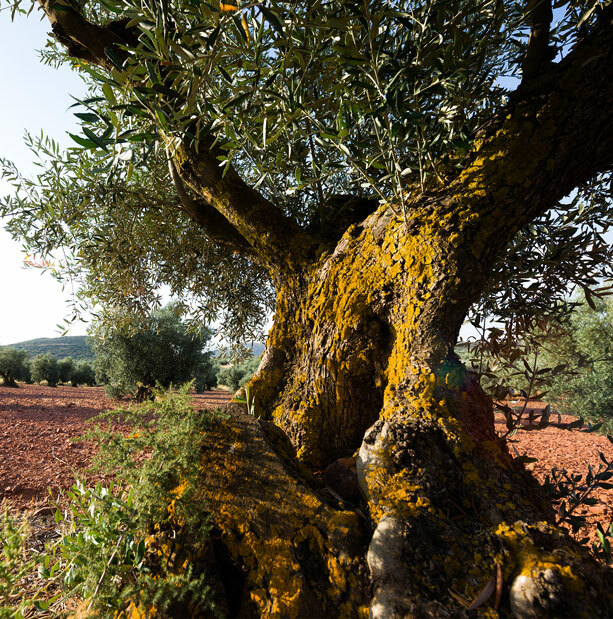 Cornicabra, Picual, Arbequina and Hojiblanca are the varieties that best represent our olive groves. Organic farming accounts for most of our production. 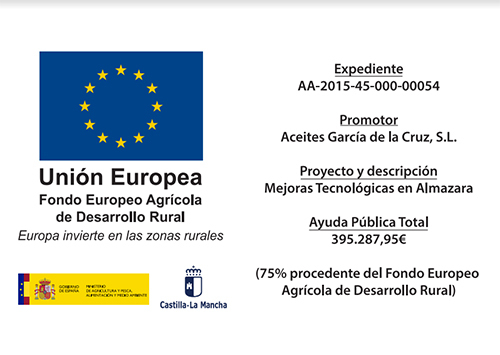 We place our trust in fields free of pesticides and herbicides. We have also opted for minimum working of the land which helps conserve the fauna and flora of the soils. We use advanced farming techniques including fertigation systems and monitored drip irrigation. 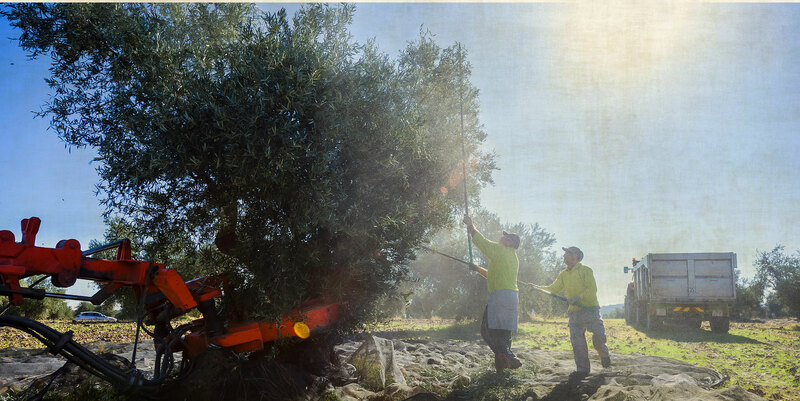 Year round, we carry out comprehensive care of all our olive groves. An experienced field team provides all the attention required to maintain the olive groves in perfect condition; after the harvest, a pruning adapted to the needs of each tree; minimum working of the land; in spring, we pay special attention to pests, forestalling them with preventative organic products, which in turn are beneficial for the ripening process of the fruit; in August, we eliminate the shoots that have formed at the foot of the olive tree that interfere with the rise of the sap, and so weaken the leaves of the tree. From then on, an on-going monitoring of the olive grove is carried out to observe the evolution of the fruit, which also serves to determine the optimum moment to start harvesting. We opt for an early harvest. 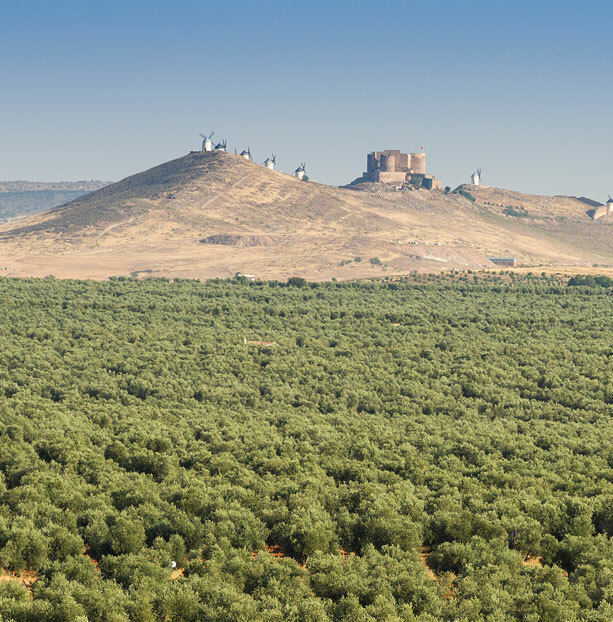 The fruit is harvested while still green to guarantee superior quality oil with spectacular nuances, while minimizing factors that can damage the quality of the olive. Also in this way we increase the period of rest of the tree which in turn reduces low yields. 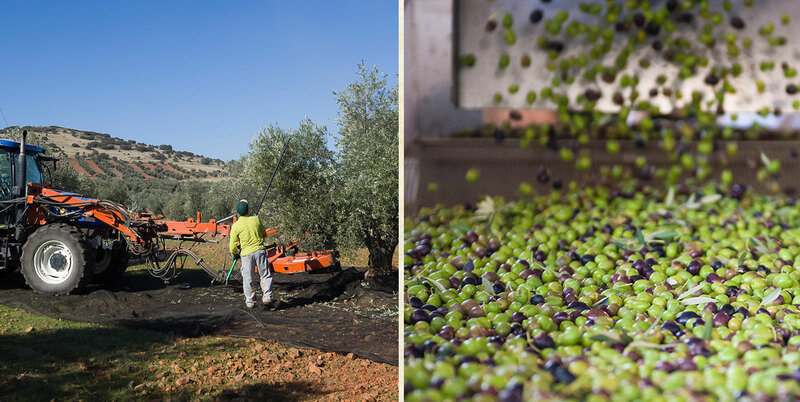 Harvesting is done by a combination of mechanical and manual procedures, depending on the needs of the olives and the soil. Within a few hours of being picked, the olives arrive at the mill where, after classification, they are pressed and transformed into extra virgin olive oil. For every stage of the process, we have the leading machinery for the sector. The extra virgin olive oil is then stored in the storage cellar pending packaging. The storage cellar is equipped with the latest technology that guarantees the preservation of all the organoleptic properties of the oil.